Its being a very long journey at the Russia 2018 World Cup, some sad and some good as we see teams move forward to the semi-finals while others are been sent packing and among them is the 'Golden Generation of the Brazilian Team. 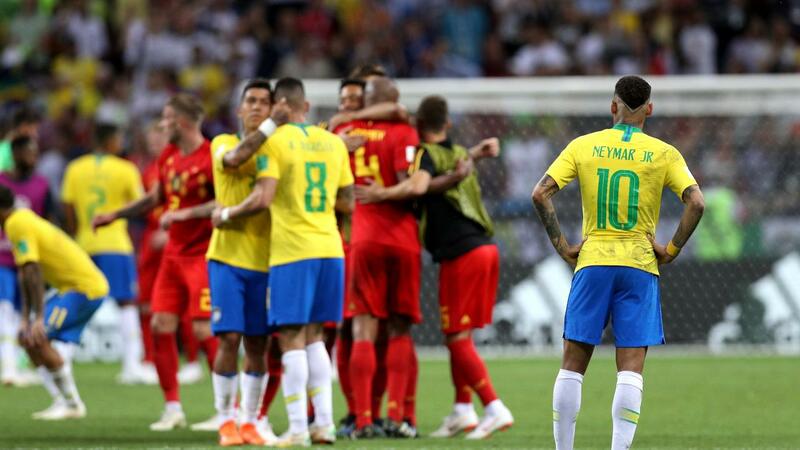 The team which feature a number of talented footballers such as Neymar, Philippe Coutinho, Marcelo Vieira and many others, were sent packing from the tournament after their 1-2 loss to the 'Red Devils' of Belgium and fans aren't happy with that. Reports have it that the 'Golden Generation of the Brazilian Team were expected to bring back the trophy after the shocking exit of Defending champions Germany, Spain and Argentina who might have posed a threat for them at the tournament, but things didn't go as plan as they were sent home by the deadly 'Red Devils' of Belgium.